The Chinese have used the herbs in this tea for thousands of years to help maintain blood sugar levels that are already within normal range, and to help promote balance in women's hormonal systems. Chinese herbology considers the balance in these systems to be interrelated. Modern life can lead to disruptive stresses and poor eating and lifestyle habits. Astragalus, licorice, ginseng, rehmannia and fo-ti were used to help nourish and tonify to endocrine system, and to help build the body's vitality, strength and resistance to physical and mental stress. 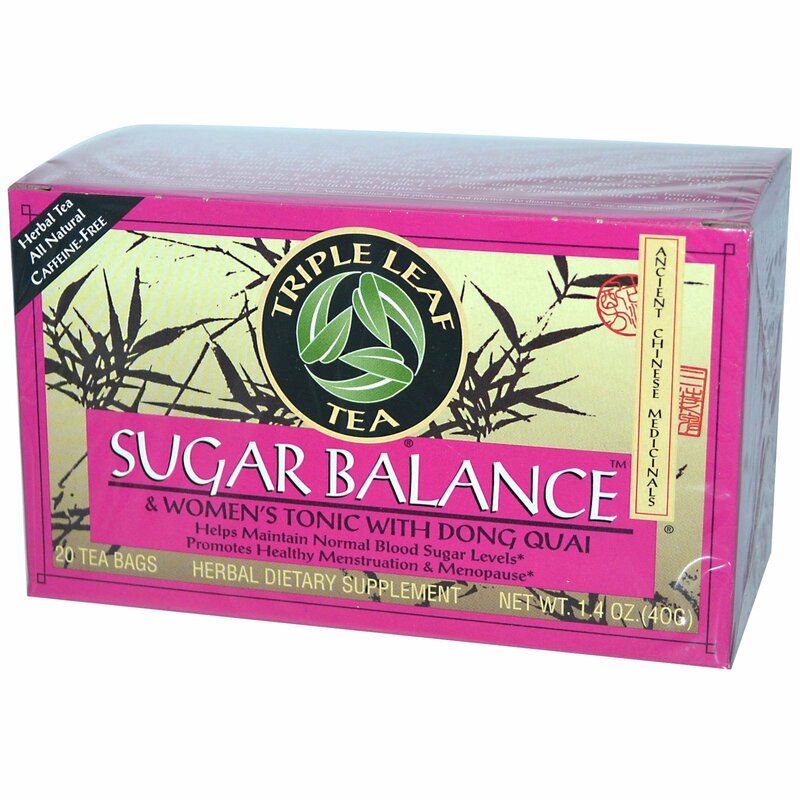 These herbs, along with dong quai, red clover, dandelion, peony, poria, white mulberry and the other herbs in this tea were used to help promote balance in women's systems and to help support the healthy function of the liver. 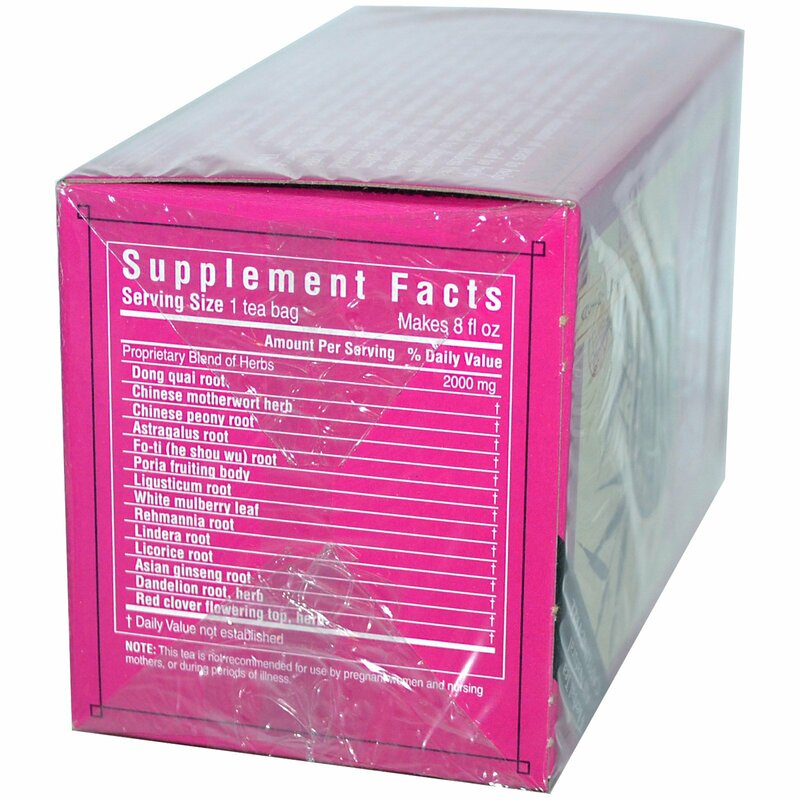 They were used to help support healthy menstruation and a healthy menopause. 1-3 cups daily for 1-12 weeks, then 1-2 cups daily, or periodically as a tonic, as needed. For additional support, drink along with Triple Leaf American Ginseng Tea and use together with a healthy diet, exercise and stress reduction techniques. Note: This tea is not recommended for use by pregnant women and nursing mothers, or during periods of illness.